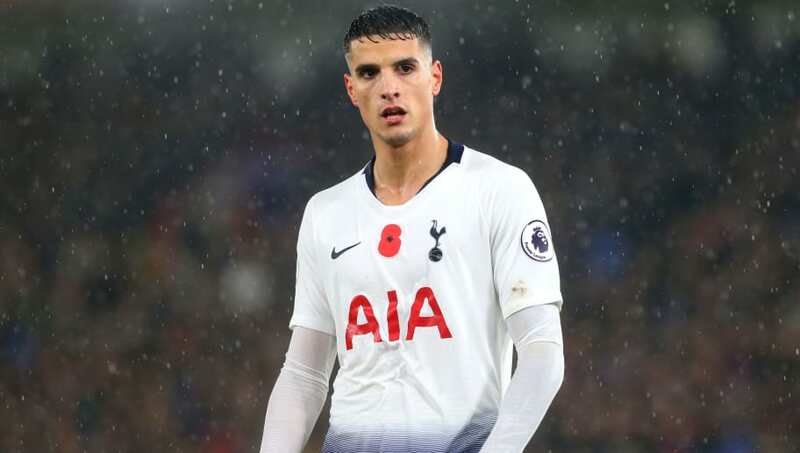 Erik Lamela has attempted to allay concerns after suffering a nasty wound to the head during Tottenham's win over Crystal Palace on Saturday. The Argentinian was forced to exit the match late on, having endured the misfortune of Jeffrey Schlupp's boot inadvertently connecting with his head. The blow left Lamela bloodied and bruised, and there was need for a lot of tissue paper. However, he seemed to be in high spirits after the game. The Spurs attacker has since posted a photo via his Instagram, sitting alongside Juan Foyth, who scored the only goal of the match, letting supporters know he was doing well. Caption: "For those that are wondering, I am feeling good! Here with the goalscorer. Big win away! COYS." The player's left eye appears to be swollen in the photo and it also looks like he needed to be stitched up. But the standout bit was the huge smile on his face that seems to prove that, while the injury was a bad one, he really is doing okay. Spurs head into the international break in high spirits, after a gruelling series of matches saw them reign victorious both in the Premier League and Champions League.